Civil Engineering is considered as the mother of all other engineering branches. In the beginning of modern engineering there were only two branches of engineering viz. Civil Engineering (Dealing with all civilian applications) and Military Engineering (Dealing with warfare). Due to advancement in engineering the specialization in specific areas lead to emergence of other branches. 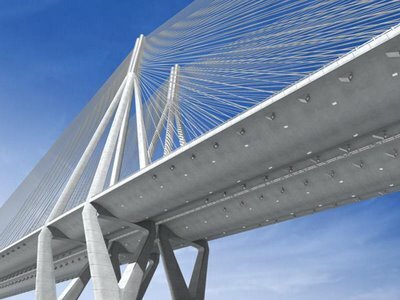 Currently the major areas dealt by Civil Engineering are designing, construction and maintenance of buildings, all structures related to road transportation, seaports & airports, marine structures, Railways, Environmental Engineering, Irrigation, Surveying, Project investigation and management of projects etc. The three year diploma course aims at imparting skills in project planning and implementation, planning and designing of structures mentioned earlier, preparation of related drawings and estimation of quantities. One of the main objectives of the course is to groom the students as efficient and effective field supervisors and equip them in maintaining quality in construction. Various computer applications in Civil Engineering are also included as the part of the curriculum. Construction of structures and their maintenance is a never ending process as long as human civilization exists on earth. Developmental activities offer opportunities in infrastructure development and in providing ancillary facilities. Thus job opportunities in civil engineering are an ever green area. The major job providers in the state under government and quasi government sector are Kerala state PWD, Irrigation dept, KSEB, Kerala Water Authority, Local Self Governments, corporations and boards under public sector like Kerala state housing board, Rural development board, Kerala state construction corporation etc. All most all the companies and factories have their own engineering wing like FEDO. Under central government CPWD, Railways, ISRO, MES, GREF and other PSU�s offer a lot of opportunities. Employment opportunities also do exist in educational institutions, research organizations and soft ware sector in core area. A major chunk of construction activities take place in private sector. The opportunities in private sector are innumerable. The gulf countries in the Middle East were always been a green pastures for civil engineers. Their contribution in the economical growth of the state is immense. Diploma holders in civil engineering as entrepreneurs also have proved their caliber as success full persons. Diploma holders are eligible to appear for the JEE exam (IIT entranceexamination). Students can seek admission to third semester of B.Tech degree through lateral entry entrance examination (LET) of Kerala state. This facility also does exist in many other states. The major engineering colleges in the state offer B.Tech degree through part-time mode for those who process a minimum of two years of working experience. Yet another option is to appear for the associate membership examination (AMIE) of Institution of Engineers (I).